Lakeside Rooms in conjunction with Minds & Me, Psychiatry & Psychology is proud to present a must see evening with Dr Kristy Goodwin. Dr Kristy helps confused and concerned parents make informed decisions about how to best manage screen time at home (so that it doesn’t always end in ‘scream time’)… and no, she won’t suggest that you ban the iPad, or unplug the TV! 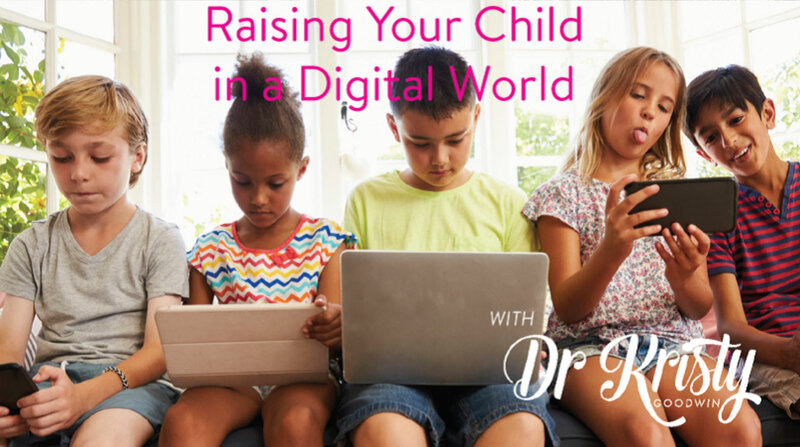 She translates the latest research about how technology is shaping childhood into practical tips and essential information to help parents navigate kids’ digital world with confidence. Parents will understand the latest risks to kids’ online safety, as well as the health, learning and development implications of today’s kids (5-12 years) using digital devices. Dr Kristy will explain how technology is impacting kids’ sleep, social, language, play, physical skills and their vision, hearing and posture and will arm parents with simple strategies about how to best raise kids in a digital world. Parents will learn how to get the most out of their child’s screen time so they can ditch the guilt and guesswork. Kristy is a leading digital parenting education, researcher, author and former teacher (and mum who deals with her kids’ techno-tantrums). She translates the latest research into essential and digestible information and tips, for parents, educators and health professionals so that they can safely navigate the digital terrain… without suggesting digital amputation! Kristy has spoken at and consulted with schools and organisations throughout Australia and Asia, she’s regularly called on by the media for her expert opinion.